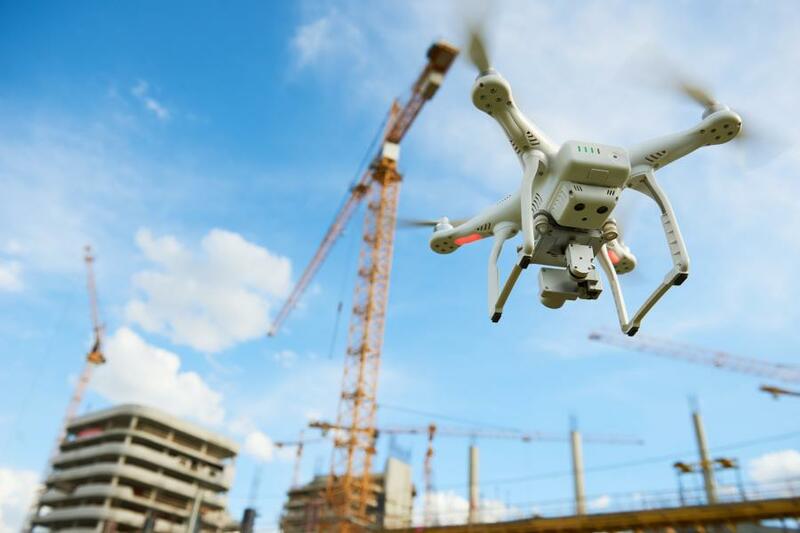 Technology has come a long way since the advent of GPS, and industrial leaders are increasingly incorporating mapping drones into their standard operating procedures because of their significant impact on cost savings and increased productivity. For construction, the sky is no longer the limit. In construction, the ability to know your exact cost per yard and accurately predict profitability has been elusive. If you work on large jobsites, the most common way to track progress is through manual surveying. However, traditional methods, such as using aerial imagery or manned survey teams, each come with costs and delays. Both of these methods could take weeks from the time you reach out to book the survey to when you get your data back. By then, the job has moved on, and the data, while useful, won't help with real-time budgeting and cost analysis. Your manned survey team may also need to navigate heavy equipment on steep hazardous terrain, which increases the risk of injury. With drone technology, you can do the survey in minutes (10 minutes for a 100-acre site) and get the data back in real time. In addition, you can fly a drone as often as you like. If you use a simple, automated solution (one that takes off and lands on its own), you can get updated data back every week or even every day. When you have data that frequently, estimates are more accurate, and you have an ability to catch and fix mistakes immediately, before major time and resources have been spent. Getting interim data this frequently allows construction executives to manage cash flow based off of near real-time activity, and not on where the jobsite was weeks or months ago. With manned surveys, it can take 2 weeks to capture the data and 2 weeks to process the data, so you are invoicing for progress that was completed 4 weeks ago. Now, for the first time, you can reconcile based on your real-time progress, which improves cash flow significantly. Subcontractor payment can also be significantly improved, as you only pay for what has been done. You can also return equipment earlier and reduce rental fees by accurately forecasting when you will be finished with it. Doing the job better will increase the bottom line. To increase the top line, though, companies need to win more work. However, sometimes the bidding process gets complicated because a lack of data either stops you from putting in a profitable bid, or it stops you from beating the competition. With drone technology, you can survey the area you plan to work on before you bid. That way, you are not relying on obsolete data gained from outdated state maps to calculate your potential costs. If the old data exaggerates the project scope, you can underbid and win the project. When the scope is too low, you can avoid surprise costs and bid appropriately. For private jobs, technology can also provide an edge in the bidding process. When you compete for a job, having the 3-D maps and data from your pre-bid survey or your last job can make a big impression. You will be able to show the real-time progress, especially if the potential stakeholder isn't likely to make it to the jobsite in person. It is one thing to tell them that you have completed similar projects, but it's something else to show them your real work. There are also major gains in timing that can come from having mapped data before bidding. If you know the area first, you can compress your schedule, which will allow you to complete more jobs in less time, bringing in more profit every year. Knowing how much earth has been moved every day and capturing the data in easy-to-view reports and 3-D maps can help keep your clients happy. You can avoid misunderstandings from phone descriptions and let the actual results do the talking. This is especially important when your clients are not able to go visit the site in person. Keeping clients informed can also help win the next job. There are two major routes to using drones for surveying. The first is to use a fully managed solution that will supply the drone and process the data for you. These kinds of solutions work well for companies that don't want the hassle and time to market delays of on-site hardware maintenance and software staff. The second would be to build the capability in-house. In order to do that, you will need to handle FAA regulations, insurance and drone pilots. You will also need to source, integrate and maintain flight planning software, mapping drone hardware, processing equipment, data management, analytics solutions and updates to avoid technological obsolescence.